Please note that we are unable to ship this product to Alaska, Hawaii, or anywhere outside of the U.S.
Rac n Roll, one of the original pioneers of the rolling dance bag, is proud to introduce their latest model, the Rac n Roll Dance Bag 2.0. Packed full of new features and improvements, this is the best bag they have ever made. Put your wardrobe on wheels and help make travel to competitions and performances a breeze. 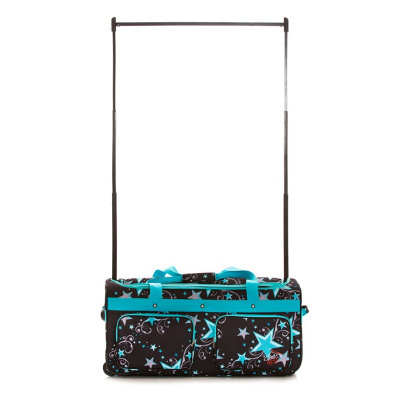 The bag includes multiple exterior and interior pockets, two rolling wheels, a collapsible handle, and “D” shaped metal rings on the inside (great for keeping costume hangers in place during travel). • Brand new interior liner, zippers, and straps to coordinate with the exterior color of the bag. 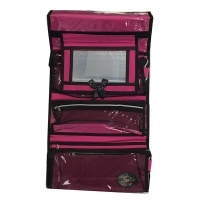 The Medium Rac n Roll dance bags measure 26 x 17 x 13 inches and weigh 10 pounds. The rack height is 48” when extended.